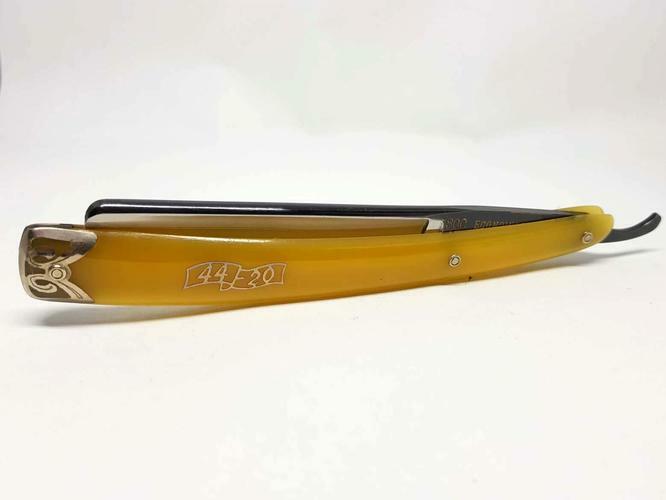 Here for sale is a stunning ALL ORIGINAL, NEW OLD STOCK straight razor made in Germany for the US market (presumably). Pre-war? 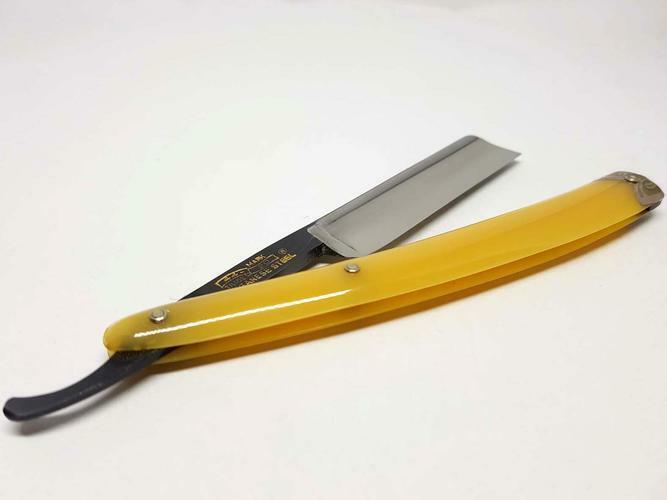 This 5/8" wide (at the blade) razor has a beautiful blackened tang and spine and a hollow ground square point blade. 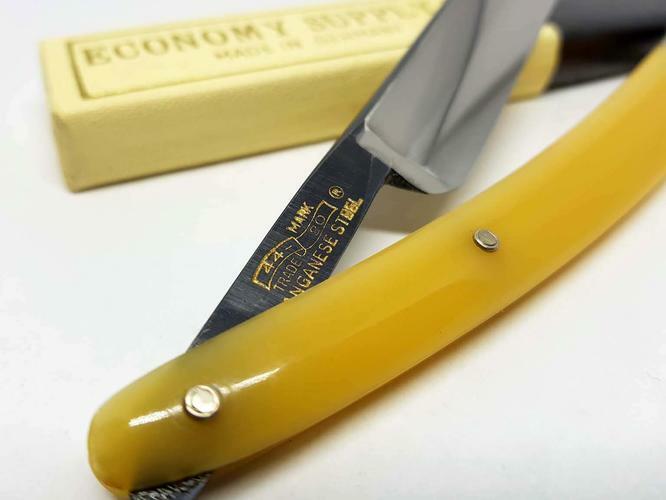 It wears it's original yellow celluloid scales with inlaid German silver bolsters and logo. 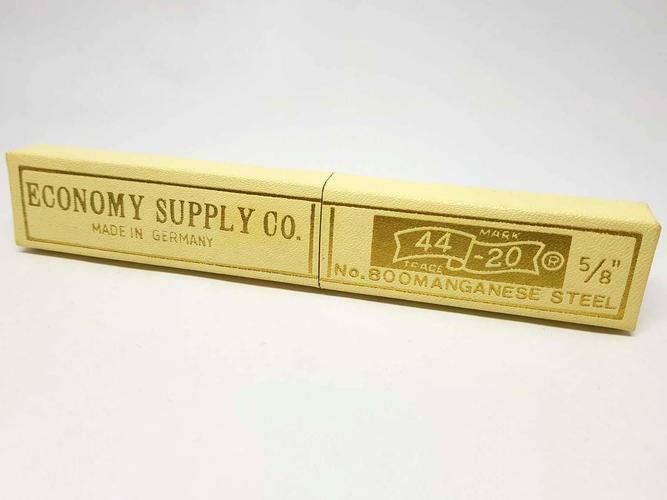 The celluloid is in perfect condition with no signs of decay or rot. The razor comes with its original cardboard coffin case and waxed paper wrap, all in amazing condition. 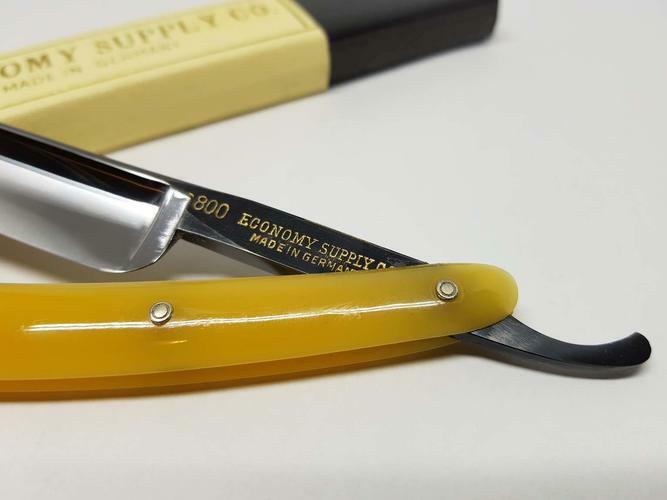 The edge is sharp but as it is 'new' it has never been used or sharpened, so I cannot guarantee that it is shave-ready. 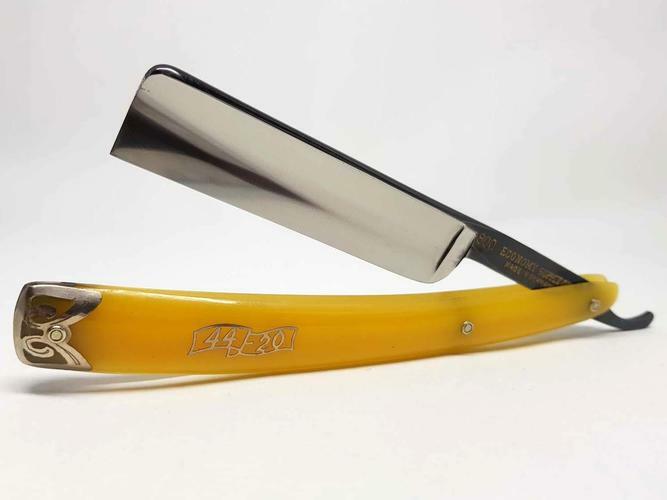 This razor comes from my personal collection - I will be listing more razors soon. Asking price is SOLD which INCLUDES standard international shipping from New Zealand (where I am located). Standard shipping is not tracked and takes 7-21 working days on average to the USA (for example). Tracked postage is available when using international courier post, but this is an additional $20.00 USD (dearer in reality but I will subsidize the cost if the buyer requires tracking). If you are also in New Zealand please contact me for local rates. sharptonn, Speedster, BobH and 5 others like this. These are great! I think F.W. Engels-made? Brand-new. Makes me throw rocks at new-production things. 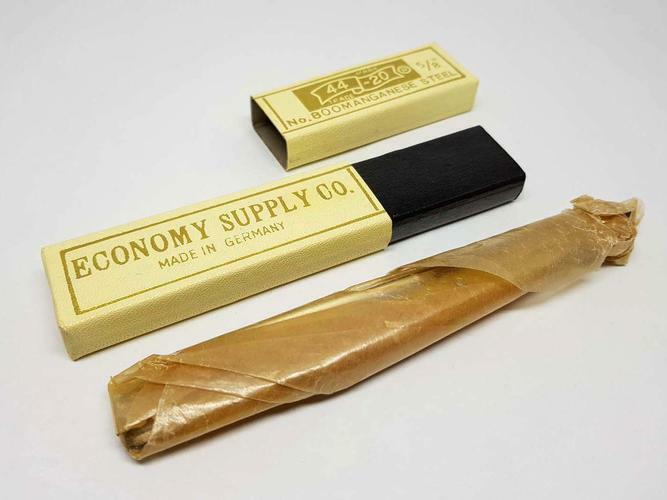 Smoking deal, IMO. 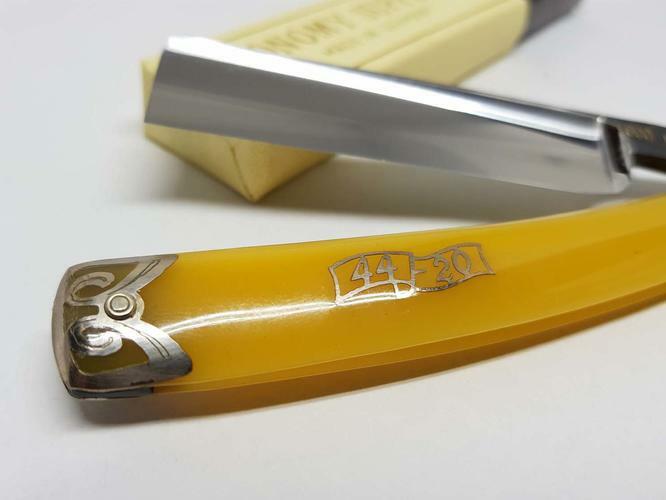 Factory dimensions always make for the best shave. EisenFaust and Speedster like this. Definitely has a similar vibe to my 5/8 Engels Leader! you may well be right there. Nope, no one makes em like they used to! sharptonn and Speedster like this. 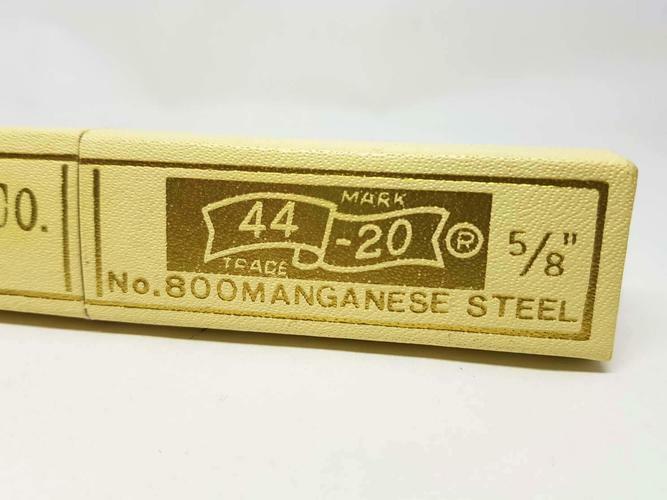 You know, I have only had the privilege of using a couple of nos razors from that vintage. The factory edge on both were just strop and shave. Wish I could say that for the majority of the few current production that I have bought. They don't make em like they used to in that regard. Lovely razor all around I think. EisenFaust, Speedster and RezDog like this. R.A.D. crisis that is Lol!! Razor is now SOLD, thanks SRP and buyer!